An altar, kept in the home is especially inspiring to me. 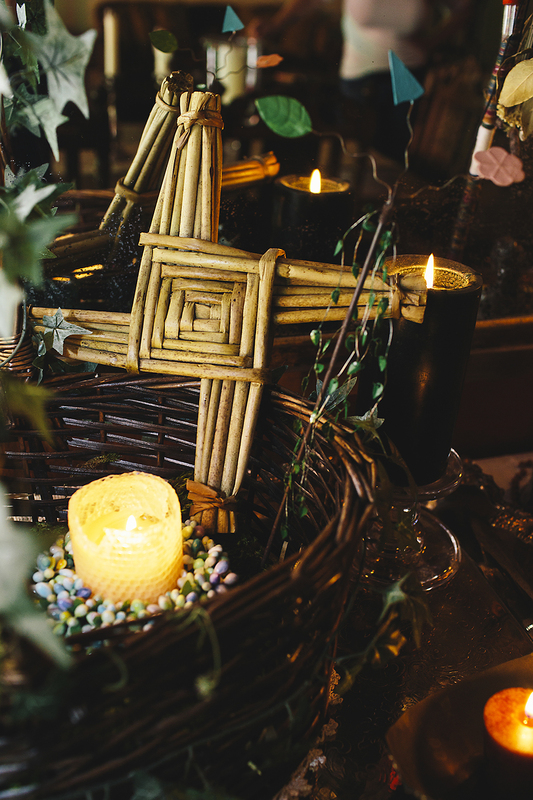 An altar is a place that holds the energy of what is sacred and essential to us. It is something tended too regularly, an ever-changing home-base for what we long for, what we are grateful for, what we are devoted to, and what we hope for. 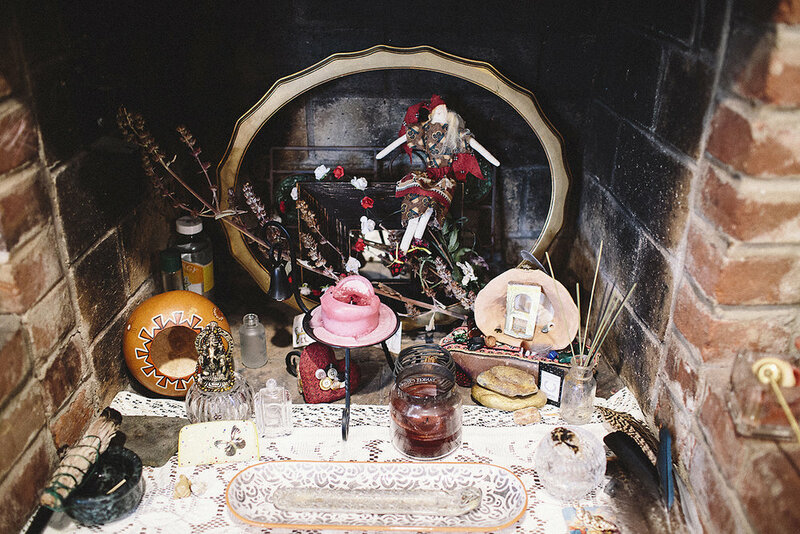 In this photo series, I visited the homes of women who keep an altar and photographed their sacred space. I also asked them to share a little bit about their altar. This is an ongoing body of work that I hope to continue to add to. Michelle enjoys installation art and her altar is no different. She views it as a moving work of art that you allow to change. She changes her altar every season to honor the place where she lives (in the Sacramento area) and the Spirits that live there as well. It was the summer of 2016 when I photographed her altar. It was a time when she was focusing on taking care of herself and asking the question "What am I going to do next?" She was about to retire from her life's work and transition into the next stage of what that would look like for her. Her intention was to focus on how she could bring healing and joy into the world. She has been keeping an altar for 13 years. Her altar is located in the kitchen. Joy has several altars in her home. The following photos are from her bedroom altar and her dining room altar. She uses her bedroom altar for her personal magic. She keeps sentimental tools there. These tools are powerful for her because they have been in use for 35 years. A lot of her magical items kept on her altar have been given to her by powerful people so they have that extra quality added to them. She changes her altar as the spells she is working with come to fruition and the energy changes. She uses her dining room altar for protection for her house, love, prosperity, healing and manifestation. She noted that the direction her altar faces has significance for her. After moving her altar to face the east everything shifted for her and allowed for the new beginning that she was seeking in her life. Her altars are an extension of who she is. They are a conduit for her soul.